2/ Hoping to solve this and considering my BIOS wasn’t the latest, I decided to upgrade it. After downloading the upgrade from Dell website, and applying it using their tool, my PC rebooted once to reflash, then went totally black… No leds, nothing… A Dell technician had to come to change the whole motherboard to solve this. 3/ After this incident, everything went fine for 1 or 2 months, but BSOD crashes started again from time to time, when leaving hibernation or suspend state. Not an issue any more for me since as a workaround, I now have the habit to do a full shutdown each time. But this has to be investigated. 4/ A few weeks ago, « my » Dell technician had to come for the second time, to replace my motherboard again. Same symptom, but this time I didn’t even dare to upgrade the BIOS, the PC refused to start one morning. As a weird side effect, after changing the motherboard for the second time, my internal keyboard didn’t work any more, so the technician came a third time to replace it… (Luckily I paid for a 5-year insurance covering hardware issues with on-site repair, but that is really weird). 5/ And I also have to mention my 256 Gb SSD drive that totally crashed twice. The first time, I got it replaced. The second time, 2 weeks ago, I used a « magic » procedure documented on the manufacturer’s website. All I have to say even if useful, I hate such « magic procedure » consisting at powering the drive during 30mn then powering-it off, and back again using an USB charger to recover my partitions, because there is nothing rational. That’s all from the hardware perspective. I may think my PC or my SSD have got hardware issues, but after changing the motherboard and SSD several times, I just tend to believe the root issue is elsewhere. I admit some forums say BSOD can occur with Crucial SSDs, but I did follow the procedures, and kept upgrading the SSD firmware too, as it’s told it’s supposed to fix the issue. Since a few months, Firefox has a weird behavior, when accessing several precise sites (my own sites, only, which is even more strange). I have a « Corrupted content » error when trying to display any page of my sites, even a simple blank page, on any of my domains. – This only occurs on HTTP : I installed an SSL cert yesterday on one of my test sites (9.éé.net), and I don’t have the issue with https://9.éé.net although http://9.éé.net gets corrupted. – This only occurs on Firefox : No issue with IE, cygwin lynx, curl or wget for example. – This occurs with a brand new install of Firefox, new profile and no plugins/extensions. Obviously, I deleted Firefox local cache, desactivated all extensions, started Firefox in safe mode, uninstalled Firefox, reinstalled a fresh new version (in another language just in case) in another location, ran it with or without a sandbox… but the behavior is always the same : « Corrupted content » ! I also though it could be caused by my firewall, which inspects traffic. So I ran the tests after desactivation, and lot of time spent trying several configurations and diagnostics, but the issue is still the same. And nothing special in the logs. During the last days, I experienced a bad crash of Windows 8, most probably caused by a driver issue, that kept me away from rebooting during several days… It could boot but always ended with a black screen, mouse cursor activated as well as the « Windows-P » shortcut to change screen from LCD to external monitor… Seems quite common according to blog posts, but the only way to restore the previous configuration is to boot into safe mode, which I never occured to make happen… Even with the original Windows 8 DVD and several evenings spent trying and reading support forums, I couldn’t make my way to safe mode, the option not being present, and the restore mode saying that my « drive was locked ». I was only able to Shift-F10 to access a Command-prompt and figure out that bcdedit couldn’t even be started (but Diskpart ran well). During those days, I learned a lot about UEFI, GPT, MSR, Secure boot and more, although it didn’t help. UPDATE 1 nov, 11h52: I’ve setup a brand new VM, and installed Windows XP from scratch using genuine install CD, then downloaded Firefox 25 US and installed it. The VM is running on my laptop, and configured to use NAT. Here is the result ! – (BSOD) Check SoDIMM : Already done several times, notably after changing the motherboards. I also did the « intensive hardware diagnostics » available from the Dell BIOS, which took several hours, and ended concluding my PC was fully operational, including all RAM banks. 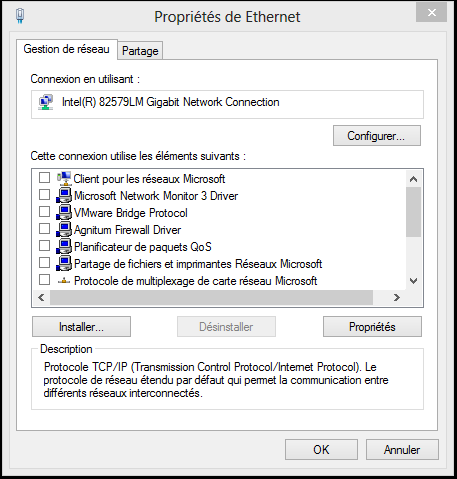 – (Corrupted traffic) Check if the issue is linked to the NIC hardware checksum option : The issue remains whatever the network card I use : Embedded WiFi, Embedded wired Gbit, VPN. – (Corrupted traffic) Check if the issue occurs at home, office or on different networks : Yes, in all cases ! I even tried setting a 3G hotspot (using my iPhone) and connecting directly to Internet bypassing my home network infrastructure, but the traffic from my websites is still corrupted on Firefox. – (Corrupted traffic) Check my websites from somewhere else : @vickyjo confirms that there is no issue to get the pages on her side. 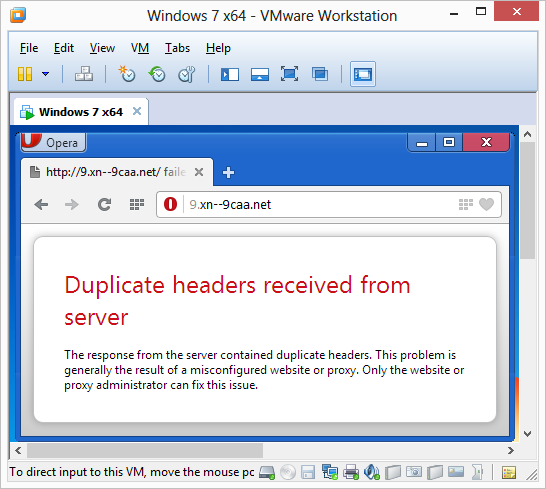 Insteresting : Using the same VM configured this time with its network interface in Bridge mode and not NAT as previously, the problem is no longer happening. 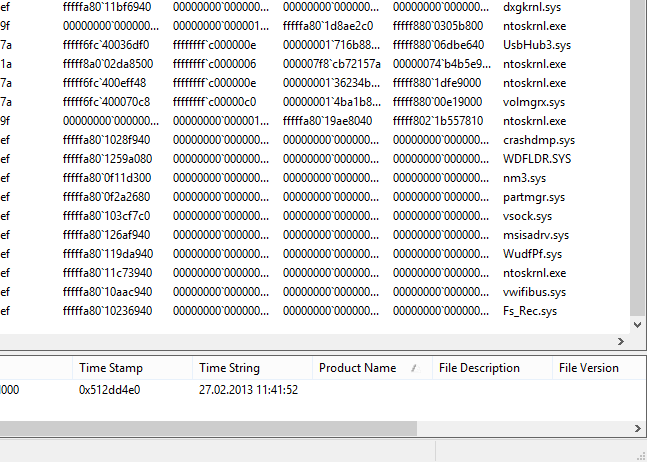 That seems to mean as long as packets are flowing through Windows 8 network stack, the issue appears. If I bypass the stack, it’s solved. why is the data corruption occuring only on my own websites, as it seems I don’t have any issue with other sites ? why is the trafic only altered on HTTP, as I don’t have any issue with other protocols such as SSH/SMB/RDP/VNC/FTP and more ? 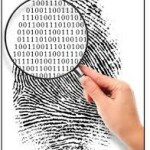 Encrypted traffic such as ssh for example should be less tolerant in such cases. why is it only occuring with (anx version) of Firefox ? This makes me think there is some kind of hook on port 80. That’s normally not what a network driver is supposed to do. Back to the checksum issue… I ran Wireshark and simply found a lot of « checksum=0 » errors. TCP Checksum issue solved : I finally managed to get rid of the original network drivers from Microsoft and Dell, that were shipped with Windows Update (and stated as « up to date » by Microsoft when checking), and went to the Intel website to download the « real » drivers, updated a few weeks ago: what a change ! Lots more options available in the hardware settings, and ability to enable/disable checksum calculation. @jm : Yes, I’ve tried with several distros on CD : no issue. I guess the problem is located between the Win8/Intel network driver and Firefox. But where ? And so strange : everything is fine *except* my own sites. How can could it be so selective ? Last action was that I had hardware checksum issues on my Intel drivers. Fixed by installing good drivers and setting the right parameters. But problem not solved. This morning, I started Wireshark to listen to trafic generated by Firefox while accessing my « corrupted webpage » (http://9.éé.net). Have you tried to host your site locally ? Have you tried to check Firefox Network Monitor ? I didn’t take the time yet to host the sites (or any webpage) locally, I should have a try, right. 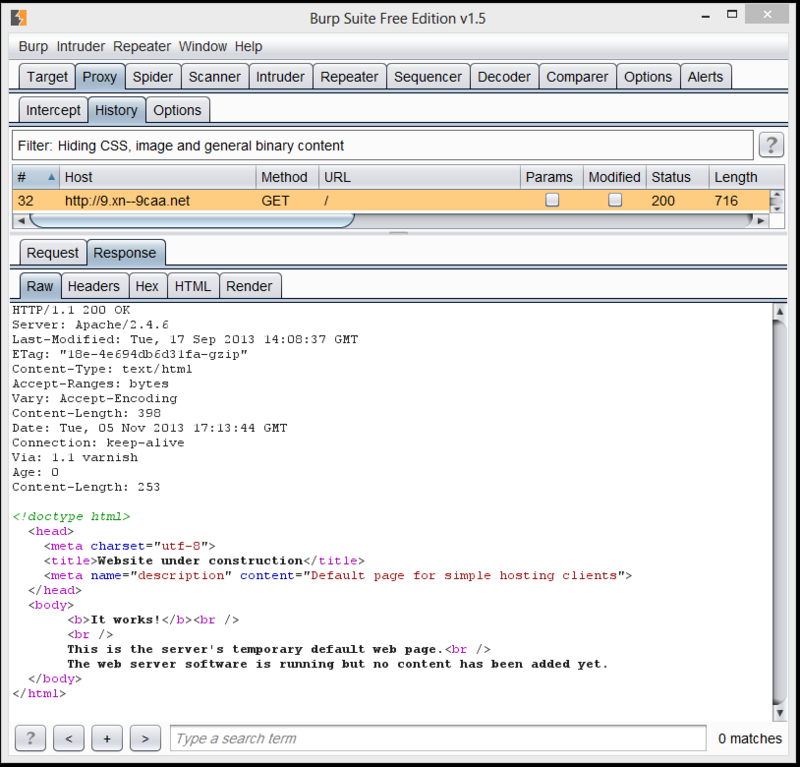 – Wireshark sniffer and Burp suite proxy both see the traffic as correct. – reinstalling Firefox, using another instance in a sandbox or *even* in a VM with NAT don’t correct the issue. I’ve started looking at the network filters. Usually, on Windows, a network card has filters that can be enabled or disabled, such as IPv4, IPv6, Microsoft network, QoS, File and print sharing, and more. There are also Firewalls that come here, and add their packet filters, as well as VMware that needs to intercept traffic from/to VMs. So ??? What next… probably run a local version of my website and retry. 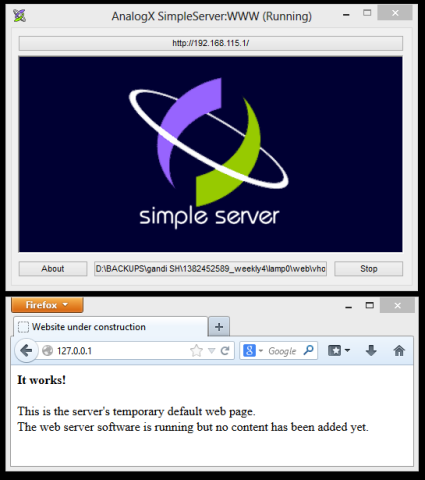 I’ve taken a daily backup of my websites, fired a small HTTP server (included in my Utools suite), and tried to browse 127.0.0.1 : it works. I also tried by replacing 127.0.0.1 by my local IP address (192.168.115.1), and it also works. But as soon as the trafic is coming from outside, it continues to be corrupted if it’s my website. Next step : I’ll setup another laptop with « fake » DNS + webserver, to answer with my real domain names, but locally, too see if something changes. But for now, I’m making my daily (!) full system backup, using a bootable cd. Will be interesting to study offline, but I’ve not started that yet. L’hypothèse est une corruption des paquets entre l’interface réseau et le navigateur au niveau Win 8. Ce phénomène semble propagé dans une VM XP en NAT. 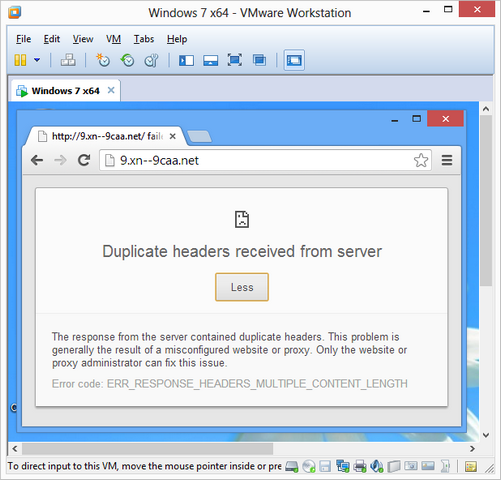 As-tu fait un wireshark depuis la VM XP? Tu devrais y trouver des paquets déjà altérés et par comparaison avec le pcap de l’hôte il y aura peut être un début de piste. Thanks for the feedback & tip. For the moment, I’m stuck again with my PC : motherboard had to be changed for the 4th time… and I’m now struggling since several days to restore my backups : of the 4 backups I have, none are able to start correctly, they all crash and Microsoft repair tools (automatic or manual) won’t fix them. I’m still spending hours waiting for my PC to restore different backups, setting each time different options… Very painful. Salut Bruno, as-tu fait la mise à jour à Windows 8.1 ? 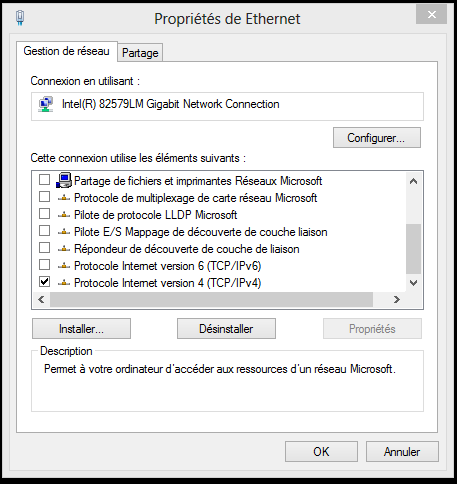 J’ai eu énormément de soucis avec la couche TCP/IP de Windows 8 (release RTM), notamment à cause du tunnel Teredo que Windows crée et ses diverses « interfaces » réseau virtuelles. Based on all the issues I had with my laptop, I decided to reinstall from scratch on a new hard-drive my Windows 8 OS and applications. 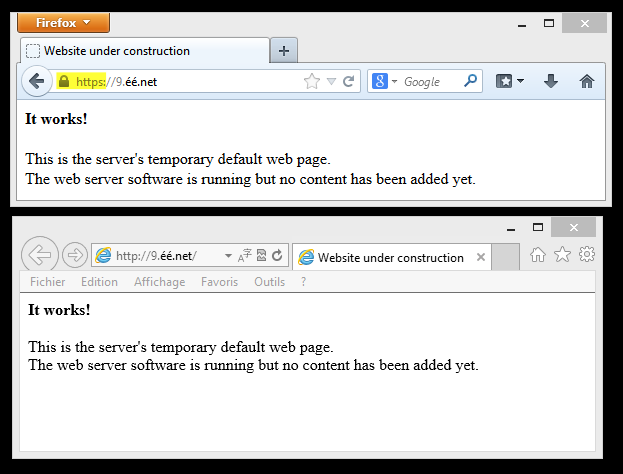 I tried to go to « bruno.kerouanton.net », « 9.éé.net » and more : Corrupted content…. This is insane and nonsense ! Tonight, I understood part of the problem, or more precisely what component caused the issue. I feel a bit guilty on this… I wrote too fast yesterday, when I said I had reinstalled a fresh Windows 8 Pro, downloaded Firefox and tried to see that the data was corrupted…. It was, indeed, but I had started to install additional software such as Outpost Firewall. Tonight, I reinstalled again another fresh Windows 8 pro (on a new hard drive, I have really many), tested with IE that my sites were displayed correctly, they were. 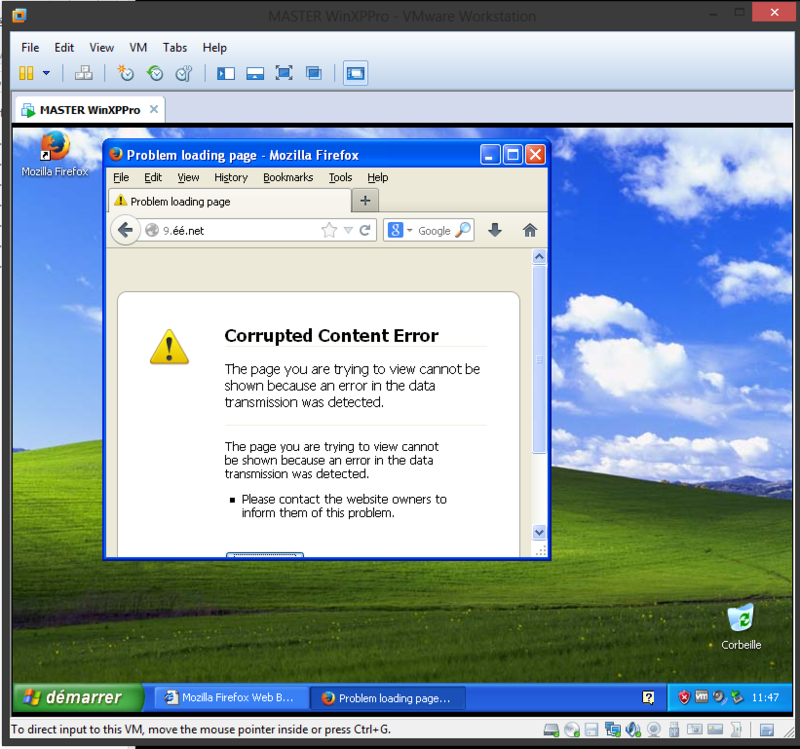 Then I downloaded and installed Firefox 25, and retried : no issue, all was still displayed correctly. Then, I downloaded Agnitum Outpost Security Suite, installed it and retried : Data went corrupted ! So, the guilty component seems to be identified : The packet filter that is enabled when Outpost Firewall is installed, seems to add corruption on data coming from web sites that are hosted at Gandi.net and use Varnish Cache. That explains why it was the only PC that causes issues (since it’s the only one with Outpost), and why it was caused either using wired or wifi connection. That doesn’t explain why the Outpost network filter driver corrupts data coming from Gandi Simple Hosting, and why it was still active even after I desactivated all filter drivers in the network configuration, including Outpost Firewall driver. And I guess I’ll start talking about this in Outpost forums, maybe it will help. Sorry guys for keeping you waiting for some kind of #BadBIOS issue on my PC. But I hope I’ll find the answer for my issue, as I cannot go on any of my sites from my PC (5-6 months ago it worked, but I had a few previous versions of Outpost firewall installed. I guess new versions broke something somewhere. Okay, I’ve created a new discussion on Agnitum Outpost support forum… let’s see what happens. Support team on Agnitum user forum has started asking me for logs and more, still doing tests. You can follow the discussion here, I’ve posted some logs there too. They also don’t understand the reason of this issue, yet. I’ve started to do several tests using bare-install configurations, running on VMware on my Dell M4700 laptop (this detail is important, as it has Outpost Securitysuite installed). 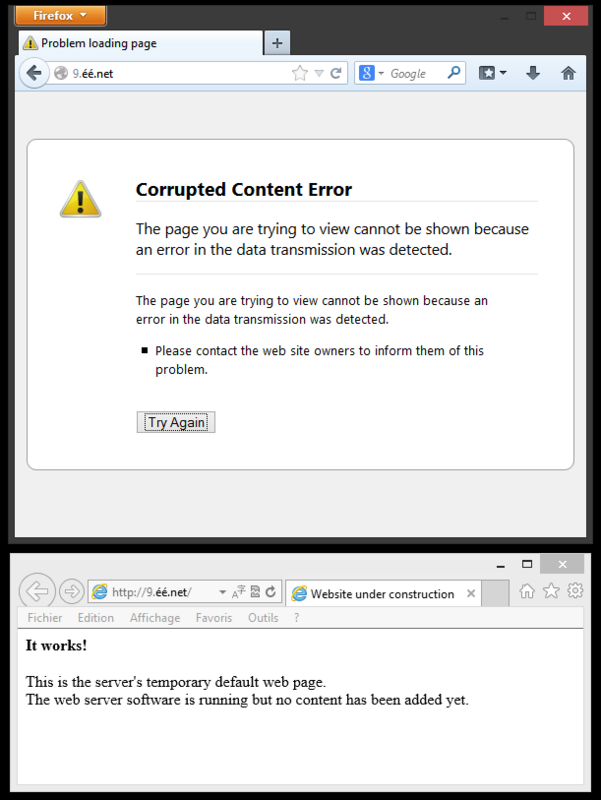 So, in short : As soon as packets flow through Outpost (Firewall or SecuritySuite), either installed on the VM, or on the host via NAT, they introduce a « Corrupted Content Error » when viewed on Firefox. And it is not OS-dependant. In addition, it may have beeen possible that Firefox is less tolerant to errors than IE, which could explain why IE doesn’t complain and displays the page. But again, when doing « View source » on IE, the displayed page is complete from the first « » tag to the last « » tag, and doesn’t contain any noticeable error. So this is just nonsense why there is an interaction with Firefox only… even if Outpost is located on the host machine and Firefox on the VM ! – Tried to access my pages. All Firefox versions display « corrupted content », except the old 3.6.28 version, which is simply not able to display anything, as if I didn’t ask for any URL. Interestingly enough, when I type « http://xn--9caa.net » which is redirected several times until it reaches « bruno.kerouanton.net/blog », I see the version 3.6.28 resolve the links, but again doesn’t display the page and stays on the original Firefox page. So it seems all Firefox versions are affected. Okay, those browsers are more verbose than Firefox. And, as often, Internet Explorer seems blind !